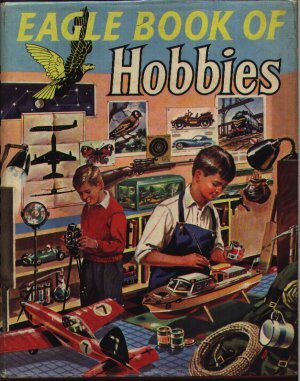 Eagle Book of Hobbies 1958 is the first of two editions of this annual. Times have changed a lot over the years - this annual advocates experimenting with hydrofluoric acid to etch glass - try getting this from your local chemist these days! Nevertheless, this book suggests a wide range of interesting hobbies that one could follow in the late fifties and early sixties.